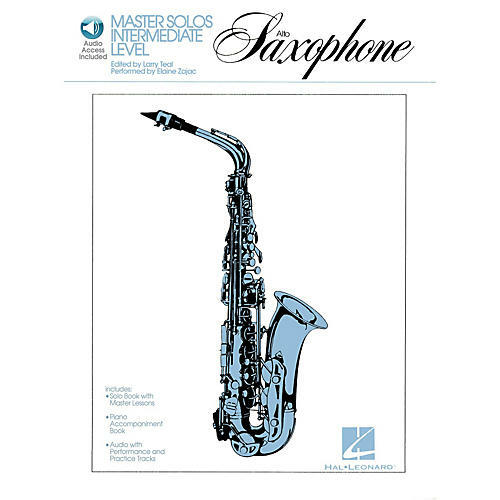 This collection for the Alto Sax was personally selected and performed by world-famous performing artist and educator, Larry Teal. On the accompanying audio, the first track features the solo performance with piano accompaniment and the second track is the piano accompaniment only, designed for rehearsal. The recorded accompaniment can also be used in performances. Contents: Andante and Bourrée (Handel) · Adagio and Allegro (Frederick the Great) · Adagio and Giga (Corelli) · Theme and Elaborations (Zajac) · Allegro (Mozart) · Allegro Scherzoso (Cui) · Passepied (Debussy) · Espejos (Kynaston). The audio is accessed online using the unique code inside each book and can be streamed or downloaded. The audio files include PLAYBACK+, a multi-functional audio player that allows you to slow down audio without changing pitch, set loop points, change keys, and pan left or right.